ABB wins contract worth $20 million for providing power & automation technologies to a floating production, storage and offloading vessel (FPSO) built by the Chinese shipyard COSCO Nantong for Dana Petroleum. ABB's delivery will contribute to efficient and safe operations, and reliable power distribution on board. 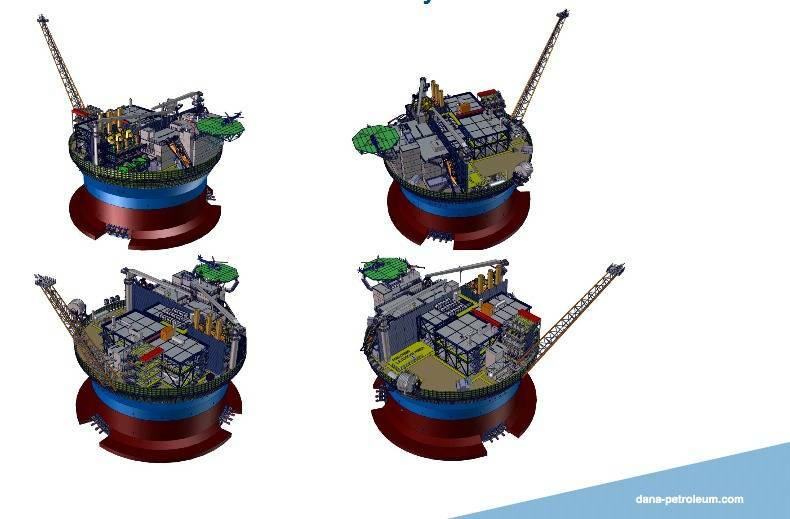 The FPSO will have Sevan Marine's characteristic cylindrical design and will be located on the Western Isles field on the UK Continental Shelf, 160 kilometres east of the Shetland Islands. ABB's automation delivery comprises safety and automation systems (SAS), information management system (IMS), condition monitoring system (CMS) and operator training system (OTS). Most of the power equipment is designed into an integrated and compact concept, including 11 kilovolt and 690 kilovolt switchgear, transformers, high voltage and low voltage variable speed drives and uninterruptible power supply (UPS). ABB will also deliver 16 different telecommunications systems, among them public address system, entertainment, meteorological and a Global Maritime Distress and Safety System (GMDSS). ABB is also responsible for design, engineering, installation, commissioning and project management. The FPSO will be tied to subsea installations at 170 meters depth on the Harris and Barra offshore fields. The production is planned with at least five production and four water injection wells and will start in 2015, with an expected output of 40,000 barrels of oil per day, exported through shuttle tankers.